Colleen M. Flood is a Professor in the University of Ottawa and a University Research Chair in Health Law & Policy. She is inaugural director of the Ottawa Centre for Health Law Ethics and Policy. 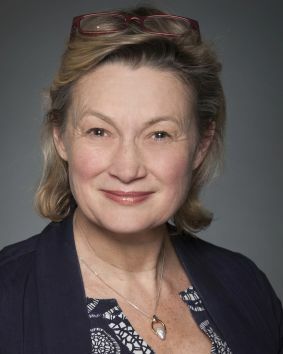 From 2000-2015 she was a Professor and Canada Research Chair at the Faculty of Law, University of Toronto with cross-appointments to the School of Public Policy and the Institute of Health Policy, Management & Evaluation. From 2006-2011 she served as a Scientific Director of the Canadian Institute for Health Services and Policy Research. Her primary areas of scholarship are in comparative health care law & policy, public/private financing of health care systems, health care reform, constitutional law, administrative law, and accountability and governance issues more broadly. Her latest book, co-edited with Aeyal Gross of Tel-Aviv University, is entitled The Right to Health at the Public/Private Divide and published in 2014 with Cambridge University Press. Forthcoming in 2016, co-edited with Jennifer Chandler of Ottawa University, is her book entitled Law & Mind: Mental Health Law and Policy in Canada, with LexisNexis, Canada.